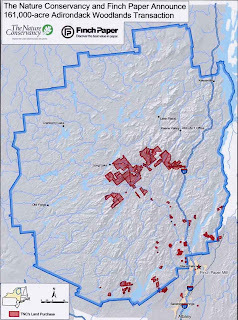 Dubbed “The largest conservation and financial transaction in the history of The Nature Conservancy in New York,” the recent purchase of former Finch and Pruyn wild lands in the heart of the Adirondacks includes more than 80 mountains and over 250 miles of rivers and shorelines (70 lakes and ponds) in the towns of Newcomb, Indian Lake, North Hudson, Minerva, and Long Lake. 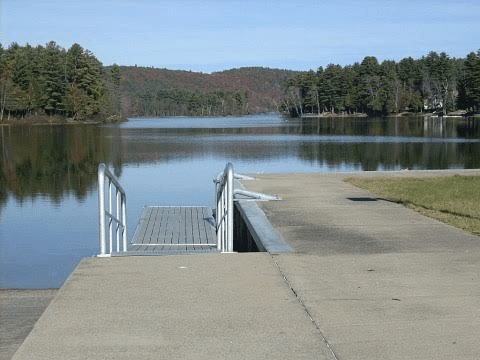 It also includes the Essex Chain lakes, the Upper (Upper) Hudson Gorge, OK-Slip Falls (itself a natural wonder), the Opalescent River headwaters, and the Boreas Ponds. 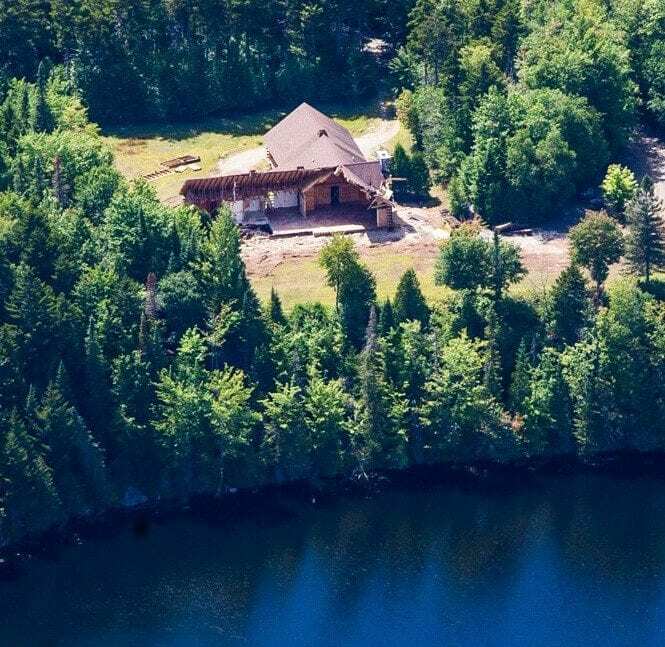 In terms of flora and fauna the area includes rare ferns and mosses growing around even rarer limestone outcroppings and includes 95 significant plant species (37 of which are rare in New York and 30 rare or uncommon in the Adirondacks). 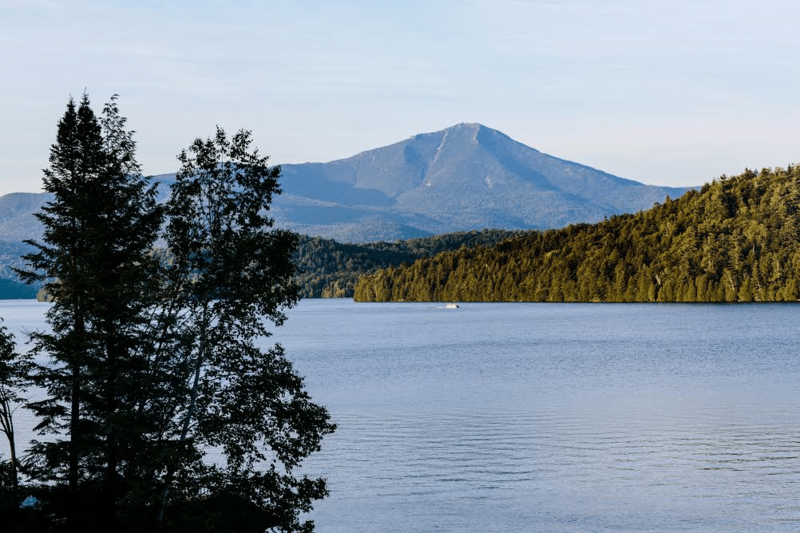 The area is also home to the Bicknell’s Thrush and the Scarlet Tanager – the purchase was important enough to make to Adirondack Almanack’s list of Seven Natural Wonders. On Monday, August 11, 2008 Connie S. Prickett, Director of Communications for the Adirondack Chapter of the Nature Conservancy and the Adirondack Land Trust will discuss the purchase in a presentation entitled “Protecting the Heart of the Adirondacks: The Nature Conservancy’s Historic Finch Pruyn Acquisition” at the Adirondack Museum in Blue Mountain Lake. The presentation is part of the museum’s Monday Evening Lecture series, and will be held in the Auditorium at 7:30 p.m. There is no charge for museum members. Admission is $4.00 for non-members.